"In a recent Guest Book letter, Marty (Harpo) Marks asks if anyone can remember the 'Rumpus Room' on 83rd. Avenue. I certainly can living next door to the building that it was quartered in - in fact, I even remember the previous tenant 'Art Leonard's Rainbow Inn', and even before that when it was a vegetable market! When my parents bought property on 83rd. Avenue to build their home on in 1938, they also bought the adjoining business parcel that stretched to Grenfell and Lefferts (see photo of vacant land in 1934 attached) thinking that they could have a rather lush garden to compliment the house. However, a clever business friend convinced them to build stores instead as an investment. The major or anchor store was a large produce market that eventually closed down about 1947 which is when Art Leonard, who was a movie producer with films such as 'A Hat Full of Rain' and 'The House of 92nd. Street' being among his credits, decided to open a high end night spot to compete with 'Ciro's attached to the Homestead Hotel down the street. The Rainbow was a landmark for a number of years and closed at just about the same time as we sold our house in 1963 which is when the Rumpus Room took over. A few interesting asides; With Mr. Leonard's show business connections he was able to obtain top names as performers for his stage including Max Roach, Louis Armstrong, Duke Ellington and a host of other notables (the music heard when the front door was open was great!). Mr. Leonard also produced and directed a documentary about Queens around 1958 with the focus being on Kew Gardens, and with this writer appearing as an extra - unfortunately, the reels, which are now among the missing, would have added so much to our history. And finally; notice the sign posted in the attached picture which touts the fact that a movie theater was to be built on the property - it's obvious that it was probably going to be the original location for the Austin, and it is also obvious that the neighbors objected strenuously!" Editor's Note: Due to the number of messages for the first half of this year, I have had to go to another Guest Book page for the second half of this year. To see Guest Book messages from July to December of 2008, simply click on the July - Dec. links at the top or bottom of this page. My name is Michal (Mickey) Weissman and I lived in Kew Gardens from 1953-1967 when we moved back to Israel. I graduated P.S. 99 in 1963. I would like to thank Bobbie Phillips for the picture of Andre's. My mother,Claire, worked as a hairdresser for Andre for many years and the picture brought back memories. I sympathize with those Kew Gardens residents who are strenuously objecting to the construction of a 21 story hotel/apartment complex on 82nd. Avenue off Queens Boulevard. I see no good reason for a hotel in that location other than to house the guests and families of the criminals element incarcerated across the street! (And there are plenty of ‘motels’ around town for that purpose!). However, there are some points made by the group that, in my opinion, would hold little water before a tribunal; the height of the building becomes irrelevant because standing only a block away is the Silver Towers which is of equal or even greater altitude. The blockage of view from the adjoining Hampton House also becomes insignificant in that in the real estate business no view is guaranteed forever! The concerns dealing with damage to adjacent properties during construction is also unfounded when considering modern engineering and underpinning techniques now used everyday! What they should stress is the parking angle and its environmental impact on the area; how can you rationalize 41 off street spaces for a 21 story building no matter what the mix of use is? – This is absurd! I think that any permit issued to construct this building must include adequate parking for its own tenancy. I can only wish the community the best of luck in its efforts to squelch this deal. Editor's Note: A group of Kew Gardens residents is looking for your help in stopping the construction of a planned 21 story building behind the Pasta Lover's Trattoria Restaurant on 82nd Avenue just this side of Queens Boulevard. I just spent a very pleasant morning looking over fkrumenaker's photograph of the Our Lady of the Cenacle 1960 graduating class, 8-2. I was a member of the 1960 class, but left during the 6th grade to attend Archbishop Molloy (_long_ story, probably one in which the site would be interested). If fkrumenaker or anyone else can match the 8-2 photo with an 8-1, I'd be ridiculously happy. I'm William Carr. Of course to everyone except the good nuns at OLC, I was Billy (as in Billycaah). I lived just off KG in several different locations from '54 through '67. I would be more than happy to have my e-mail address published. Sorry, I'm packing no attachments. I found the site because a thoughtful friend responded to some questions about OLC with a url for the 8-2 photo. I do agree with Mr. Linsky that the car pictured in front of Andre`s is a 1968 Buick Skylark Custom. Mr. Linsky is certainly paying attention. I will continue to look forward to his interesting and informative contributions to the Kew Gardens Site. The attached picture is from an old advertisement for the 1968 Buick Skylark Custom. In Ms. Phillips' posting below she includes an excellent photo of her father's beauty shop (Andre's) along with her first car parked in front and has said that the image was taken in 1957. I think that Roger Sabo, who I consider to be a 'maven' on cars from the fifties and sixties (he had so many of them), will agree with me when I say that the Buick in the picture is a 1968 Skylark! As a broker of vintage vehicles for motion pictures and television, it's an important part of my job to place the right car in the right setting (I can't help myself!). Still a great picture and many thanks to Ms. Phillips for sharing. Here come those recollections again; I believe that I did cover Andre’s Beauty Parlor in my 'Stroll' series elsewhere on the site but not from a more personal standpoint of view. When my mother wasn’t being preened at 'Mr. Kenneth' in Manhattan for an affair at the Waldorf, her usual Friday afternoon program included several hours of washing, setting and drying by her favorite beautician Adele at the very popular Andre’s on Lefferts Boulevard sandwiched between Ms. Majors Bookshop and the M & F Cleaners. This was Harry (Mr. Andre) and Ruth Rothman’s second location in the village with the first being on Lefferts just off Beverly Road which I remember well because that's where I had my 'hot oil' treatments when I was a kid (what they were for, I'll never know!). Harry was an expert at makeup and accompanied my father, who was a Dramatic Tenor, to many of his charitable concert engagements around the city to prepare him for the stage. The great photo below provided by and with thanks to Bobbie Phillips is of the later store which was an ultra modern (for its day) fully equipped salon. Thanks for sharing more good memories! Editor's Note: Click on the image to read a story in the current Queens Courier newspaper about the opening of the new Center at Maple Grove Cemetery - a completely green building. Click on thumbnail to view slide show. Click on the image to view a slide show of some of the damage caused by last Saturday night's storm. Editor's Note: The local Queens Chronicle newspaper takes a look at the community. I would love to hear from any of my old friends and classmates so you can post my email address. After seeing Jeff`s recent posting I decided to post another set of reunion photos. The first picture was taken in 1955. From left to right are Danny Lehrman, Roger Sabo and Gary Schultz. The second picture was taken in January of this year. From left to right are Gary, Danny and Roger. As with all of my recent reunions this was a memorable event and a day I will always remember. Ron Marzlock's Queens Chronicle article on the Austin Theater sure brought back lots of memories of when we were kids in the forties. This was no adult movie house in those days and we all looked forward to Saturday's when the doors would open at noon and for 12 cents we got to see two feature lengths films (usually something from Ann Sothern's 'Maisie' series along with an Abbott and Costello adventure). But that wasn't all; sandwiched between the movies were at least ten cartoons along with a serial like the 'Phantom' and a short stage show in which the manager gave away sets of cheap glasses and dishes! Then there was the 'matron' who I'll never forget; a heavy set woman in a white uniform who must have been pushing eighty and seemed to enjoy blinding us with her flashlight when she thought we were up to no good! (actually, she did catch us once lighting matches and threw us all out) - what can I say, we were kids! We didn't have T.V. in those days, Atari hadn't been invented yet and this was enjoyment for us along with a few hours of freedom for our parents. Last week Roger Sabo and I had a wonderful reunion. We shared many happy memories of growing up in Kew Gardens and exchanged updates on our classmates and neighbors. Editor's Note: Click on the image to download a Zip File [1.7 MB] containing 23 images of Kew Gardens Community Day on June 1st of this year. Thanks to photographer, Martin Hack. Editor's Note: The current issue of the Queens Chronicle has an old photograph and short article by ron Marzlock about the old Austin Theater. Please be sure to let Roger Sabo know how much my family enjoyed the Forest Hills High Yearbook from 1960. I found photos of my Mom, Linda Widder-Wiesner, that I have never seen. Thank you so much for this FANTASTIC web site. Only went to P.S. 99 in Kindergarden (we moved to the other side of Metropolitan Ave). Vajra Kilgour will host Larry Gross of the Coalition for Economic Survival and Dean Preston of Tenants Together, leaders of the successful campaign to save California's rent controls that won Tuesday's statewide referendum by an overwhelming margin of more than 20%. As time permits, she will also discuss the history of the Rent Guidelines Board and the fight to reform it. Call 212-209-2900 with questions or comments. Housing Notebook, produced by Met Council, airs Mondays on WBAI, 99.5 FM from 8:00 to 9:00 pm in the New York metropolitan area and on the World Wide Web at www.wbai.org. Programs are archived for 90 days at archive.wbai.org. Memory slowly returns. As to the controversy on the construction of the Bevely House Apartments, I remember my great grandfather tgalking to my grandmother on the proposed apartments. He said the residents of Bevery Road and Brevoort Streets main argument was the height of the building. He said that on the Cuthbert Road side the building was fine. But on the Beverly Road side the building was one story to high. Further on the side facing Brevoort St. there should be no windows overlooking the 2-3 story residences. For a period, I seem to remember the Fleischmann house was vacant and I played on the vast lawn that ran to Brevoort Street. Then I attended a "day school" in the Fleischmann house and remember the stage freight when I had to recite a poem at the school. Editor's Note: Thanks to Roger Sabo for the entire 1960 Forest Hills High School Yearbook which is the latest Special Feature. And my apologies to Roger for taking so long to get it posted. My name is Bobbie Phillips. When I was a student at PS 99, I was known as Barbara Rothman. I have been married for almost 40 years to Steven Phillips, and I have 2 children (a daughter and son) and four grandchildren. (three girls and one boy). I attended PS 99 from 1945 to 1953 (8th grade). I lived in Kew Gardens from the day I was born (Lefferts Blvd and Metropolitan Avenue apartment building) and then when I got married, my husband and I moved to Austin Street (the Gardens). We lived there until my son was 9 months old, and then moved to Smithtown, LI until 2002 when I retired from Suffolk County Community College and we moved to Lake Worth, FL. We also have a home in the Poconos where we spend the summer months from May to September. After PS 99, I went on to Richmond Hill High School and then to Queens College and received my bachelors and masters degrees in Early Childhood Education. Last September, I went to my 50th year reunion from RHHS where I heard about this wonderful web site. I am sending you also a picture that was taken that day where five of the people are the same ones that went to PS 99 and RHHS together. The names of those people are Ina Ellenport, Barbara Rothman, Stuart Schansinger, Artha Schwartz, and Barbara Wells. (from left to right). Thank you for this wonderful memory. Editor's Note: Thanks to Bobbie for also identifying many of the students in the P.S. 99 class photograph of Grade 2-4 (1947). TODAY I AM 67 BUT DO NOT FEEL A DAY OVER 75! I'm William (Bill) Breeze, I lived on Beverly Road from 1933 (year I was born) to 1945 when my mother and I moved to Florida for her health. 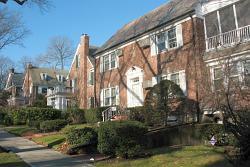 I remember playing on the lawn of the Fleishman's house which became the Beverly House. There were some famous people just a few house down. One a woman who starred in a radio show, and at the end of the block was the home of Mark Warnow, from the Lucky Strike Hit Parade radio show. His Daughter Sondra and I used to play games and visited each other daily. At the time we were the only children on Beverly Road I attended PS 99 from Kindergarten up till the 3rd or 4th grade. The only teacher name I can remember was Mrs Gerow (sp). My mother worked part time in a store on the Lefferts Ave bridge, it was a soda fountain owned by two brothers, one who served in the military during WW II. Every Saturday I went to the Austin Theatre for the movies and the prize drawings. I won over the years three ping-pong sets and other small prizes. Admission was ten cents. In 1939, the hurricane knocked down most of the trees from Lefferts Ave to the Beverly House and with the Dutch Elm disease killing many others, Beverly Road was treeless. My grandparents, George Phillips and Maude Breeze, sold the house (the old number was 74 Beverly Road) in 1946 and moved to Florida to join my mother and I. Save the date. Events include Music, entertainment, children's activites, and a lot more. An exhibition of Kew Gardens artists from May 14th to June 7th. Opening reception on May 14th at the Austin Ale House. MAYBE YOU LOVED KEW GARDENS AS MUCH AS I DID, BUT NOBODY LOVED THE NEIGHBORHOOD MORE. I was saddened to hear about Curt Fenner’s passing. Anyone with information please contact me. Love to hear from old friends who grew up in Kew Gardens. I live in McKinney, Texas (outside of Dallas) and am a professor at the University of North Texas where I direct, write, etc. My most recent book, The Performing Set, won USITT’s Golden Pen Award. Andy B Harris. My family lived on 80th Road from 1945 to 1958 where my father was an MD, Earle H. Harris. My mother Muriel was active in Hadassah. He founded what became the LaGuardia Medical Group. My sister Joan (4 years older) also is a published author and lives in Santa Fe. A couple of her titles: Men Who Hate Women and the Women Who Love Them (with Susan Forward), Blacula (film), and Better Half Dead (play). I graduated from PS 99 in 1956. Yes, you can publish my email address andyh@unt.edu I’ll dig around for some old photos at the end of the semester. I found the site through June Marantz Chamberlain. She lived around the corner from me, and we were the best of friends in those days. My name is Alan Shapiro. I lived in KG from 1954 till 1992. I was born in 1952. 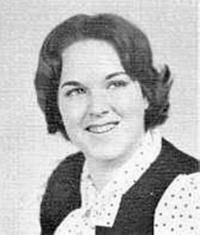 I went to PS 90 (1957-1964), Russell Sage (1965-1967), Richmond Hill HS (1967-1970) and Queens College (1970-1974). I lived in 118th street and then 116th street. I played ball at the overlook from 1965 until about 1980. I was good friends with Vinny Caeiro and Curtis Fenner, (both of whom I heard had died). I found the site when I typed in Curt’s name. There were a lot of other people I recognized when I read the site. I live in New Hyde Park now with my wife and 3 kids. If anyone would like to get in touch with me my e mail address is alanrichardtex@aol.com. Editor's Note: Sorry to report the passing of another member of our extended Kew Gardens family. Peter Schmeidler, son of Dr. Curt Schmeidler, died of pancreatic cancer on April 14th of this year. Although born in Germany, Peter grew up in Kew Gardens and graduated Forest Hills High School. He worked as a Chemical Engineer for Rohm & Haas for 40 years. He also served as president of the Delaware Chapter of the American Institute of Chemical Engineers. After his retirement, he was a Senior Fellow at the Wharton School's Risk Management and Decision Processes Center of the University of Pennsylvania. Our condolences to his wife, Lois and to their family. I was wondering if you could help me find some info on my great-great grandfather, August Herman Lasche, He was a motorman for the street railroad of the Hempstead branch of the Long Island Railroad in 1910. (he went by Hermann) He was born in Germany ,April of 1875. His wifes' name was Theresa(don't know her maiden name)They lived at 30 Hastings Place, Hempsted, New York according to the 1910 ny cencus. His brother,Christian Ernest Lasche ,also worked for the railroad (he went by Ernest). Editor's Note: Click on the link below to read the article which is very complimentary. I would like let you know about a happy hour that I am hosting at Mood on Monday, May 5th from 4:30- 6:30. I realize it is early for people who work in the city, but I thought I'd give it a try. It is a fundraiser for the American Cancer Society's Relay For Life in Cunningham Park, June 7 - 8th. I am a team captain and we are trying to raise money to fight all types of cancer. The cost is $10 for free hors d'oeuvres and there will be a cash bar and raffles! All the money goes directly to the Cancer Society, since the owner of Mood is not charging us and he is closing down the restaurant for the two hours. Money is due by April 25th. People who are interested can contact me at LynnSilverstein@msn.com. That is my "business" e-mail. Hopefully, the publicity will generate some interest. The Relay itself will be overnight in Cunningham Park Saturday June 7-Sunday June 8th. If you can make it please let me know. If you know anyone else who might be interested let me know. Thank you for contacting us. And thank you for the well wishes. In answer to your question, let me preface by saying our intention is to build on what has already been built, all plaques and the like will remain. However, what will happen is some of those items which have been dedicated many years gone by and have since deteriorated will be rededicated to help renovate the synagogue and those items accordingly. Any further inquiries please feel free to contact me. Editor's Note: Our own Austin Ale House wowed them with its buffalo fried shrimp at last Monday's "Queens: A Taste of the World" Event. • All classes 1908 through 2008! We are collecting memories, photos, report cards, graduation albums, school and text books, historical records, and memorabilia for our school display. Back by popular demand, the Leap of Faith rock & roll band will recreate favorite hits of the '60s, '70s, '90s & '00s on stage at the Church of the Resurrection in Kew Gardens for a candle-lit "Raise the Roof" fund-raiser. Admission includes a delicious chicken or vegetarian tettrazini dinner, vegetable, salad and tasty home-made dessert. Soda, wine and specialty beer will be available. My name is Andre Hahn. I lived with my parents and sister Cecilia in Kew Gardens from June 1967 till July 1976. I graduated from PS 99 in June 1971. I love your site and would love to have my e-mail posted on it.Would love to get information on reunions or anyway to find old friends. Hey there. I googled Sara Fontak and see her on your list. Would love to know how to contact her. Don't know why except I continue to think of her from time to time. I adored her so in High School but I remember vaguely some troubled times. Thanks so much for any info you can give me about Sara and perhaps how to contact her. If you are in contact please feel free to tell her I think of her and would love to know how and where she is. I don't know if I sent in this photo . Paul Onish top left and friends in front for the left door at PS99 1951. I am trying to find any information I can about a cousin Dr. Joseph Lazarus who may have practice medicine at Kew Gardens hospital until his 1958 death. Dr. Lazarus died in Kew Gardens hospital. We are particularly interested in finding out where he went to Medical School. Also we are interested in learning if his brother Max Lazarus was ever admitted to Kew Gardens hospital. PS 99's 6th grade TAG students will be on WBAI 99.5 FM, at 11:00am, Tuesday, April 1st, discussing global climate change and the use of rainforest wood in NYC. We are hoping to spread public awareness. The show is called Eco-logic. Please spread the word! Editor's Note: You can hear the program over the internet by clicking on the link below. My husband I meet at a bar named Side Streets which was located on Grenfell St. and we have been looking for a photo of the place for a long time and can not seem to locate one. If for some reason anyone has one I would appreciate a copy of it. We met there about 20 years ago and have great memories of the place. Thank you very much for your assistance. Editor's Note: A Baruch College blog has an article about the Long Island Rail Road in Kew Gardens. Editor's Note: Thanks to Nancy Cataldi (President of the Richmond Hill Historical Society) for the following You Tube video which every P.S. 99 alumnus and alumna is duty bound to watch. Some of you might recognize the guy. Attached, please find a news release from Assemblywoman Nettie Mayersohn which contains important information about the economic stimulus checks from the Federal Government. We would appreciate you distributing this release to your membership. If you have any questions, please call Scott Wolff in the Assemblywoman's district office at 718-969-1508. Hi....sorry to inform you that due to new ownership, the show scheduled for Thurs., March 27th, at the Theatre Cafe, has been cancelled I'll be looking for another suitable venue., but it looks as though it'll be too late for this particular show. Anyone who read Richard Weinman's post and doesn't know Marion Spindel would have gotten a wrong impression of her. She is neither the sound of her voice nor the color of her hair, but a strong, compassionate, generous individual, whom I am proud to have known for more than 40 years. Kew Gardens, New York, was a magical place to grow up. In 1961, I was eight years old. One Friday evening at about 5:30 PM. My older sister was asked by a friend if she would baby-sit her daughter. My sister had turned 18 that year and was working at her first job. She had already done some babysitting for Tanya Plotnick so she agreed even if she was exhausted from the weeks work. Tanya and her husband Ellie were managing a Greenwich Village, night club at the time. They had to work that Friday night. A new act will be rehearsing in our apartment tonight Tanya said They have their first opening soon so you wont be alone and if your brother wants to be there he is welcome, They could use a small audience. My sister and I went to Tanyas apartment at about 6:30 that night. And I helped my sister get the baby to bed by 7PM. A few minutes later, the doorbell rung, the group had arrived along with their musical director and their promoter. The group set themselves up and began to sing. They sang folk songs, which I really liked. I stayed very quiet during the rehearsal as the musical director would stop them occasionally and give them comments about the singing and the guitar playing. I was fascinated as this was a professional rehearsal. I had been in some school plays, but the rehearsals were never like this. Then they decided to do it as if this was the performance that they would give Before they started, my sister checked on the baby and made sure that she was asleep. It was now about 8:30 They began as one of the men started to talk and introduce the first song. Between the songs he would say a few things to set up the next song. This went on for about 45 minutes. Finally they finished. The Promoter, who had been keeping time told them that they Were running a little over time for a two-set show and they could either talk less or cut one song. They were very adamant about the songs, so they decided to shorten the introductions. It was now about 10PM, so they decided that it was too late to continue rehearsing So they slowly packed up as my sister and I said goodbye at the door. They thanked me and said that I had given them some very good comments and ideas. I havent seen them since. But I know that some day I will reconnect with them as I now am in the entertainment business and I have set up many concerts. My Father was the television repairman in Kew Gardens N.Y. Working in Town and Country Radio and TV Repair, people would walk in every day with all kinds of electronics that wouldnt work. Sometimes they dropped in just to talk about every imaginable subject. My dad would always find the time to be as accommodating as possible, even if he had to take time away from repairing a difficult problem. When I was 10, I would do my homework there and after that distribute flyers for the store. I had devised ways to get into apartment buildings, even those with Doormen. Most of the buildings had them then. The buildings did not even know I had been there, as I would make sure that the flyers would get under the apartment doors. During the beginning of October that year, I remember as I was saving up to buy my Halloween costume. For about a week, a middle-aged man, heavyset as my father was, would come into the store. He started to tell some jokes. He did not see me doing my homework, as there was a partition between the front of the store, the office where I was and back of the store where the repair bench was located. Every day that week, he cam in and told a few jokes then leave. I found all of them quite amusing and would tell my father, after the man had left. The second week, this man, Jacob was his name, came in to the store and started telling my father the same jokes. I found this rather unusual since most people we knew would love to pass along a joke they had heard but never would they tell the same joke twice especially when the knew that they had told it before to someone. By Friday of that week, Jacob had told us his jokes 5 times that week. Knowing that my father had a lot of work to finish that week, he sometimes had to take a television completely apart to find the bad part then completely reassemble it, I called to my father. He came into the office, thinking that I had a homework problem that I couldnt figure out. I spoke to him in a low voice since Jacob was till in the store. Dad, weve heard all these jokes at least 5 times. Maybe you should tell him to go on The Ed Sullivan Show He looked at me quizzically, and left. My son says that you should go on The Ed Sullivan Show, my father said to Jacob. A moment later, I heard the shop door close. Thanks he said to me as he went back to the repair bench. I didnt want to be rude to him. I know I replied, But any joke gets stale if you hear it too often. Sunday nights, were always fun as we would watch The Ed Sullivan show. Two weeks after Jacob had left the store, we were watching when Ed introduced a new stand-up comic. Suddenly there was Jacob, telling the whole world the Jokes He had told us in the store. He opened with You know, I dont get no respect. Jacob had become Rodney Dangerfield. Editor's Note: Kew Gardens alumnus, Larry Gross, will be a guest Scott Sommer's "Housing Notebook" program on New York's radio station WBAI [99.5 FM]. Larry will speak for the Coalition for Economic Survival about the efforts of California tenants to preserve rent control. You can hear the program over the internet by clicking on the link below. We are currently recruiting artists and crafters for the Kew Gardens Spring Art Show. Your tax-deductible $40 participation fee will secure a 10' X 7' space (please bring your own table and chairs!). This art show is part of a larger community event, the Kew Gardens Spring Into Summer Community Day and lots of activities and entertainment will be going on all over our wonderful neighborhood. Please E-mail Carol at CarolLacks@aol,com or call (718) 847-2045. if you would like more information. Thanks! Hi....Our next music and poetry show will take place at the Theater Cafe, 106-03 Metropolitan Ave. (next to the Cinemart). It is schedued for Thursday, March 27th, 2008, beginning at 7:30 P.M. I just finished reading what I thought was an absolutely wonderful posting by Richard Weinman. I too lived in the Kent Manor, also in Building "B", Apt. 6E, from 1943 until 1959.......... and as I've said before, in retrospect, it was a 'magical place' to grow up. I didn't want the post to end because so many memories were awakened ....... the Spindels, the booth, the park, the hill, the trolly tracks, the village - all a part of my life too .......... we were so fortunate to have been raised in Kew Gardens and to have had such a wonderful, innocent, youth! Thank you Richard for confirming that my memories are accurate and that I am not alone in my recollections. How lucky were we?!?!?!?!? Editor's Note: Some time during the next week, the old web site might be inaccessible for anywhere from one to twelve hours due to maintenance. I am not a former resident of Kew Gardens but a good friend of mine, Dorothy Hershkowitz was. We graduated fro Forest hills High School in 1965. She died this past April, and a DVD that was made by Dorothy,( who was a choreographer in Boston,) and a colleague talking about dance and choreography,will be shown at Joyce Soho in June. If you are a former friend of hers and would like more information, please email me. Seats are limited and we will including family and friends first. I thought I was quite funny...I used to hang around with Bobby Moseman. .Miles, Joe Plaza, Richie Wolin and I used to go to Pratt to study art but spent more time sneaking into the figure drawing class. I had aspirations to be golden gloves til Barbara Felsing managed to knock me out when I went a few rounds with her to show her my physical acumen. Who did a lot of different things.... and survived. Also, did my undergrad at Queens College. Thea Ellenport should remember since I used to take her young sister to school. Now I lead the good life, write books and paint. Retired in 2005 and live down by the Mason Dixon line. Hi Joe.....just to let you know that our next music and poetry show will be held at Linda's Kitchen, 81-22 Lefferts Blvd., Kew Gardens. Linda and Gary (the owners) are celebrating the 10th anniversary of their store. The event will take place on Saturday, March 1st, beginning at 7:30 P.M.
Editor's Note: Thanks to Bill Lehman for pointing me to an article in today's New York Times about a couple that went apartment hunting in Queens and wound up in Kew Gardens. Nothing has changed. Today is yesterday. "Riiichid!" "Juenyaah!" She's still sitting there. Marion Spindel is at her perch, gazing down from her kitchen window, by the fire escape, in Apartment 4F, Building B, of the Kent Manor at 117-0l Park Lane South, Kew Gardens, Long Island, New York. Right under the Weinman's kitchen window by the fire escape in Apartment 5F, Building B, of the Kent Manor at 117-0l Park Lane South, Kew Gardens, Long Island, New York - my home from 1938 to 1951. My parents' home longer than that, at least half a century or more. As for the Spindel's, Marion's husband, Nate, sighed to Junior (my brother, Edward, Jr.) and me when we ran into him that fall day in 1998 after so many years away from our roots, that they've been in their apartment for over fifty years, silently absorbing the life and history of the Weinman's from the sounds above them. And Marion, apparently, has been at her place by the kitchen window each of those 18,750 days. "Nate . . . theah's Richid and Junyah." The same faux sun-tanned skin, now pulled tightly over forehead, temples, cheek bones, and jaw, and tautly drawn down over her beak of a nose. Cracked with wrinkles and rolling waves of skin. But still tan (maybe it isn't fake!). The same faux blonde hair, straight, hanging to her shoulders, covering her ears and framing her face (did you ever see Veronica Lake in the movies? Same hair, and quite attractive - and alluring- to a pubescent kid). Blonde hair! She must be 80 now! (maybe it isn't fake!). "Natey . . . didya see Richid and Junyah?" The same crackling voice, croaking the pungent New Yorkese, hoarse, husky, rising with a cackle to the high pitches of the last syllables of our names: "iiid," " yah." And still the cigarette. Doesn't she know it's bad for her health? According to the label on the pack, the Surgeon-General, and countless studies - she should be dead by now from lung cancer or heart disease. But there she is. Still. At her perch at the window, watching the comings and goings of the people of Building B. "Riichiid! Juenyaah! How ah yah?" We were fine, my brother and I, returning to our home at 65 and 60 years of age, respectively. And our home looked the same: the same large hallway/foyer when you enter Building B, apartments A-G to the right, H-N to the left, with the same gray-black stone floor, and the same scary elevator - will it get stuck? Or not stop, sending me up past the roof? - the gate jerking shut, uneasily making its way up (we did a lot of walking up and down steps; it seemed safer). The apartment house looked the same, but now it is a condominium. All the rent-control renters were dead or gone, so the price per unit could skyrocket (the Weinmans were one of the last to leave, always pressured to get out in their later years to free up the unit. But Marion and Nate held fast). There are security cameras now. The front and rear entry doors into the building require a key. And there are video monitors and a control unit in "the booth," (more about that later)a kind of TV master control or early Star Trek flight deck. Yes, "The Booth" is still there. Right in the middle of the four buildings - A to D. A kind of communication nerve center, with its media technology. It was a nerve center back when I was a kid, too, but the communication was all audio, consisting of a phone inter-com system from each apartment. And the communication - unlike the indifferent, distanced detached eyes and ears of camera, screen, mikes and speakers - was personal; voice to ears, eye to eye, emotion to emotion ("the sink is still leaking." "the toilet is stuck." "there's no light in the hallway." "the burner on the stove doesn't work." "call an ambulance!" "there's a fire in the kitchen.!" "can you take the dog out; I'm sick." But my personal contact with The Booth was of different nature, driven and shaped by the Brooklyn Dodgers. I sought information: "Who's winning? What's the score? What's the inning? Top or bottom? Any home runs? How many? By whom? How many strike outs? Who's up?" The standard litany upon getting home from school. The Booth was my first stop off the bus. I pummeled the guys in The Booth with these questions about the Dodger game. I ran from the school bus and all the useless information from a day at P.S. 99 to the real important facts of that day's Dodger game (no night games then, no domes. They played under the skies and on the grass - a real "park" in the city, a pasture amidst the concrete). The two or three guys at work in The Booth recited the history of the game, bringing me up to the minute of my questioning, while in the background, the accented and modulated voice of Red Barber narrated the events of the moment. I tried to hear both narratives - past and present - at the same time. Sometimes I headed for the apartment, but, depending on the closeness or importance of the game, I'd hang out in The Booth. Tenants weren't supposed to use The Booth as a refuge: get in, tell them your needs or ask your questions, get out - so the group could continue their work. But they didn't do much. One guy sat at a desk - that's where the radio rested - sometimes reading the newspaper. Another guy stood around, and one or two other guys - "handymen" they were called - might wander in and out. It seemed to be a steady job. The same people were there year after year. It wasn't the kind of job a person got promoted from, no climbing a ladder to a better or "higher" type of handyman position. You just did the basic maintenance required to keep the apartment building going: fixing furnaces, scrubbing lobby floors (they were always mopping, with the smell of detergent throughout the large foyer and on their clothes), vacuuming entry and hallway carpets, trimming the hedges, watering and cutting the small swatch of grass. It was low pay, low status, low expectations, low responsibility. Just do what you're told by management or tenant (we always "asked" rather than "told") and no discussion. And, you were a fixer. You worked for an individual tenant for the repairs and the real handyman jobs, everything from wiring problems to putting in light bulbs (the Kent Manor had a population unaccustomed to or unable to deal with such trivia: the big shots of big business - the nuveau riche - and their wives, who spent their days in "The City" - that's what downtown Manhattan was called - at work [the men] or shopping [the wives]); fixing air conditioners and stoves; doing carpentry; whatever a tenant needed done for her apartment (it was usually the wife who called, dealt with, and rewarded the handyman). So you got to know the handymen as you grew up. Well, more accurately, you know what they looked like and you knew their names - their first names. You never knew their family name, or where they came from, or how they got to Kew Gardens, (You knew - or maybe it wasn't in your consciousness in the 30s and 40s - that they didn't live in Kew Gardens. Only white people, middle class people and rich people lived in Kew Gardens). They probably lived in Jamaica: that was the closes place that African-Americans ("colored" was the name used then) lived; maybe even subwaying in from Harlem or the Bronx - a long journey, about an hour commute each way. But who, where, how werent important things to know. Why bother. Here was someone to do what you needed done and couldn't do yourself. In particular, I remember Danny - mostly his trim, narrow, shiny black mustache; his "Brylcreme," tightly curled hair; his smile, his light tan skin, firm high cheekbones and broad shoulders. He looked a little like Nat "King" Cole. Danny did much for us, as well as doing his regular building chores. And he and my mother seemed to genuinely like each other. (Hilda was so sweet she genuinely liked everyone and everyone liked her). She was always so warm and caring and friendly. It was mostly Danny my mother asked for when she called down to The Booth, and he was my main "broadcaster" of the events of the Dodger games when I went running into The Booth after school. Beyond that, his identity, or how he defined himself, weren't even considered. "A nice guy." But amorphous in his role of a black man serving the needs and the whims of the Kent Manor's white, middle/upper class. 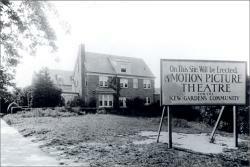 Aside from life in the Kent Manor, there was more to being a kid in Kew Gardens. There was "the park," the large acreage of green, adjacent to the apartment building (Building B mostly). "The park" was a sea of green in the center of all the concrete. It was the football field - actually large enough for several football fields - the baseball field(s), and a place to make out. "The park" also was a playground: a concrete harbor of swings, see-saws, monkey bars, slides, and a sandbox. It contained handball and basketball courts. And the whole area was surrounded by long rows of benches. So, "the park" was for all ages, and matched each stage in the life of a kid growing up in Kew Gardens. You started in the wired-in playground, toddling in the sandbox at first with your mother nearby; grew into the see-saw, slide, swings, and maybe monkey bars if you were old enough; and graduated out of the safety of the wire fence into the open fields, playing ball; and eventually growing bigger and stronger, into the handball courts. And as the teen-age years came on, "the park" at night was ideal for a pick-up or for taking a date after a movie to neck and pet on a bench. And the bench was the place when you got older and more sedate to sit and read the newspaper, talk, and watch the children and young people play in playground and in field. But Kew Gardens had it's natural environment, too: "the forest." A smaller acreage of trees, earth, fallen leaves, dirt paths, and large climbing rocks, right out the back door of Building B. It was the site of many of the battles of WWII, where German and Japanese fought it ought with U.S. Marines. Where cowboys and Indians chased, captured, and killed each other. Where mobsters fled from cops, who lay in ambush in the shrubbery. It was the place where boys were introduced into Second Amendment manhood, as trigger finger pressed against the protrusion of the tree limb rifle. And in the winter, snowballs replaced guns, as kids hid behind trees and rocks and bushes to surprise other kids with chunks of snow to head, face, and body. It was our Aspen, with a hill of sorts - quite a big one to our eyes - for sledding, dodging protruding rocks and trees for a race down the slopes, and then, the long, climb up to race down again. And Kew Gardens was "the avenue": Metropolitan Avenue, a trolley car track-lined street, with all of the shops one needed for living (no supermarkets then). There were the butchers - both kosher and "American." The produce market. The drug store. The candy store and ice-cream parlor. The tailor. The Chinese laundry. The cleaner. The bowling alley. The bar. The Chinese restaurant. The hardware store. The shoemaker. The barber and the beauty shop. And further away, "the village": some stores, less of the daily necessities of "the avenue," like clothing stores, book stores, the banks, and, the major attraction, the movie theatre: 17cents for adults (over 12) and 12cents for kids. The nice thing about going to "the village" was the chance to walk there along the streets where there were houses. No apartment buildings, but real houses, for those who were wealthier than us apartment dwellers. I lived in Kew Gardens from birth to the time for leaving home to go to college at 18. Then back again after marriage for the couple of years it took to study at Columbia and receive my Master's Degree. And that was it. My home no longer became my home. With wife, I left Kew Gardens for Pennsylvania, Indiana, Georgia, Iowa, and Oregon. But the amazing thing about Kew Gardens, which I discovered as a man of sixty four or sixty five - how many years since leaving home? - when our daughter Sarah was married. With my brother and his wife, and my son, Howard, I drove from Boston to Kew Gardens. And there was the Kent Manor, "the park," "the forest," "the avenue": all there - almost unchanged, except for being run down some and the object of occasional vandalism. But it was intact. Unmoved. A photograph from the past. A picture with sound, however. The sound of surprise. Of joy. Of rememberance: "Riiichiid." "Juennyah." Carrying me back half a century to being a kid in the Kent Manor. 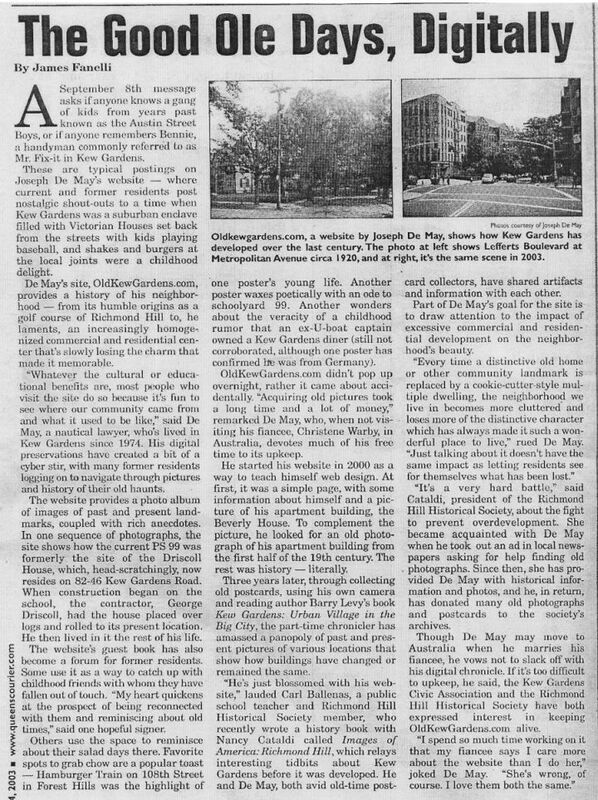 Editor's Note: This week's edition of The Queens Chronicle newspaper carries a short article and photograph of Lerner's Luncheonette (formerly Razler's) that used to stand at the southwest corner of Metropolitan Avenue and Lefferts Boulevard. Yesterday I posted a message on "Where are they" and I already received a reply from an old friend of mine who I havenÂ´t seen in 38 years. I hope other old friends will read my message on "Where are they". Looking forward to hearing from you all. I GREW UP IN RICHMOND HILL, ON 108 STREET, ABOUT A BLOCK AND A HALF FROM FOREST PARK. I WENT TO PS 90, AFTER THAT JUNIOR HIGH SCHOOL 210 IN OZONE PARK THEN RICHMOND HILL HIGH SCHOOL. I JOINED THE NAVY AND WHEN DISCHARGED IN 1995 FOUND AN APARTMENT ACROSS FROM THE RICHMOND HILL LIBRARY. LIVED THERE FOR ALMOST 3 YEARS. THAT AREA IS CONSIDERED KEW GARDENS, ONCE YOU CROSS THE LIRR TRACKS IT TURNS TO KEW GARDENS, NEVER KNEW THAT. WHY DO THEY CALL IT THE RICHMOND HILL LIBRARY WHEN ITS IN KEW GARDENS?? I HAD QUITE A FEW FRIENDS WHO LIVED IN KEW GARDENS WHEN I WAS IN GRADE SCHOOL. I STILL LOVE BOTH AREAS, RICHMOND HILL AND KEW. I LIVE IN FRESH MEADOWS NOW, ABOUT 4 BLOCKS FROM QUEENS COLLEGE. NOT A BAD AREA. BUT BOTH AREAS HAVE CHANGED A LOT!! WHEN I GOT OUT OF THE NAVY I WALKED AROUND THE NEIGHBORHOOD AND SAW MANY STORES I HAVE NEVER SEEN BEFORE. GOOD IN SOME WAYS AND BAD IN OTHERS. OK, THATâ€™S ABOUT ALL FOR NOW. I FOUND THIS SITE WHEN I WAS ON THE RICHMOND HILL SITE. IF ANY ONE WANTS TO EMAIL ME, FEEL FREE. THANKS!! RHHS class of 68' is having it's 40th reunion. We have over 290 names, but we're looking for names of people who still live in the area. For more information contact Ellen at EJCNEWSCREEN@aol.com and she will fill you in on all the information. Raandesk Gallery Presents Carla E. Reyes "Feminine Continuity"
Painter and mixed media collage artist Carla E. Reyes has been exhibiting her artwork professionally in and around the NYC area since 1999. She graduated from F.I.T., NYC, in 2002 with a BFA in Restoration and an AAS in Fine Arts. Editor's Note: Both Rod Nalven and Peter Schiftan have submitted the following New York Times article about Richmond Hill High School. I wanted to let you know about the passing of Barry Maholchic. I heard from a cousin of his that he died about a year ago. He had been a neighbor and a friend of my family growing up in the Lefferts House. Barry was an interesting guy. He was big, especially for that era-the '50s, about 6'6" and filled out. He was a bright guy too and went off to college at Notre Dame. Anyway he had been doing work for the Long Island Press High School sports page. He was also on the RHHS basketball team. He wasn't the greatest player but he was big. It was ironic that in the story the day he scored his career high game the Long Island Press, of all places, got his name wrong in the story. They had it as Barney Maholjay. So naturally, after that it became his nickname. He was a good guy. He introduced me to Al Spitzer who ran the Long Press High School sports page in those days and I was fortunate to get a part time job with him down at the old Press building in Jamaica while I was going to college. I know his RHHS class recently had its 50th reunion. I'm sure they would have remembered Barry. Thanks again for all your work on the heart page of Kew. It's simply marvelous. I'm glad I didn't blink. I found the original dark backround very pleasing and not at all difficult to read. "George Clooney received Best Actor nods from the National Board of Review and the Washington, D.C., and San Francisco Film Critics Circles for his portrayal of the titular morally challenged attorney in 'Michael Clayton,' which featured scenes set at the courthouse in Kew Gardens." Click here to read the full story in the Times-Ledger. Editor's Note: Well, the new color scheme didn't last long, did it? If you blinked you might have missed it. Seriously, I received a heads up that some viewers might be finding it difficult to read the light print on a dark background. So, no matter how striking the dark green color scheme might have been, it was self-defeating if it made the web pages harder to read. The next music, monologue and poetry show will be held at the Theater Cafe at 106-03 Metropolitan Avenue, in Forest Hills. It's scheduled to take place on Thursday, January 17th, beginning at 7:30 P.M. I am absolutely delighted with the new format which seems far easier to understand and navigate. What makes it so outstanding is the black background and the new font used in the masthead (a very professional look!). As for your decision to cut back on the day to day maintenance of the board; no one can deny that you have done nothing less than a 'yeoman's' job with the site through the years and certainly deserve to direct your energies to other enjoyments more often. I would suggest that at least for the Guest Book segment that you think in terms of an interactive format which would allow more personal back and forth banter with only your supervision as moderator (just an idea to kick around and to make your life easier!). Always looking forward to more news from both Kew Gardens past and present and wishing everyone much happiness in the coming year.